Ashley Porter is a local jewelry designer. She came to us with a strong collection of work and the need for a high-end fully functional e-commerce site. We designed a luxury digital experience for her customers where they could buy her unique jewelry and learn about the creativity behind her brand and each individual piece. The world is digital. Is your business? Your company's web presence is your first impression. Make sure it's not your last one.  Factor 10 designs intuitive user experiences that help convert visitors into customers. Our development team fuses market research with digital design to cut through the excess and reach your target market.